Featuring in the Playhouse Rehearsal Room at the Arts Centre Melbourne these September school holidays, The Adventures of Broer & Zus is the perfect theatre activity for young children. The first collaboration for Eloise Green (CircusOZ) and Samuel McMahon (Slingsby's Cheeseboy), their new show The Adventures of Broer & Zus has already won a Weekly Award for Best Children's Presentation at the Adelaide Fringe 2015 and 2016. Green & McMahon combine here their experience in circus, entertainment, comedy and movement for the delight of children of all ages. 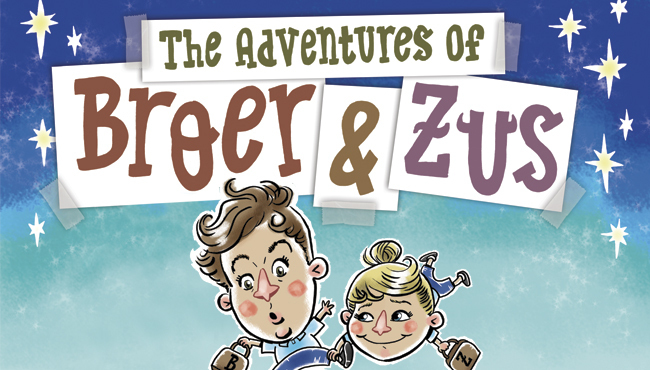 The Adventures of Broer & Zus is the story of a young brother and sister, who have recently arrived in Australia from a 'far-away' place, as they embark on their first day of school. Even though the challenges the face feel like 'end of the world' problems, the pair soon overcome their fears and learn to enjoy their new school. With themes including resilience and the 'power of nonsense and day dreams,' the cast utilise a full score of humour and imagination, as well as song, dance, comedy and circus skills to bring this show to life. The Adventures of Broer & Zus can be seen at the Arts Centre Melbourne from Tuesday 27th September to Saturday 1st October 2016 with shows at 10am and starting again at 12.30pm. The show runs for 45 minutes non-stop. Tickets are $20 each and can be purchased from the Arts Centre Melbourne website or by calling 1300 182 183. Additional fees will apply. The Arts Centre Melbourne is located at 100 St Kilda Road, Melbourne.